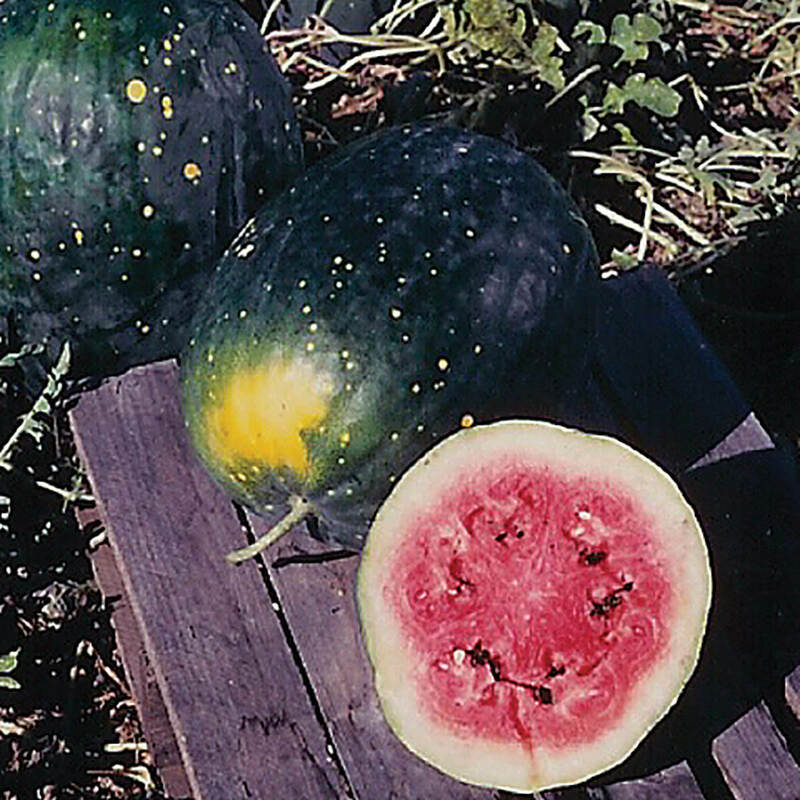 Note: Watermelon Release Form must be completed and returned to neseed before watermelon seed orders can be shipped. 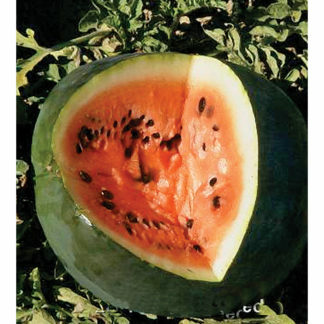 This release must be received within 14 days or your watermelon order will be canceled. Click Here to go to our online Watermelon Release Form. 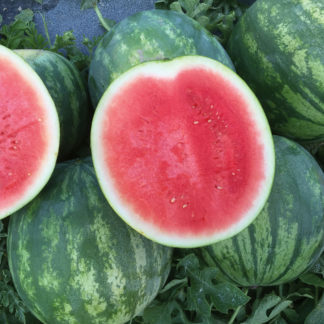 Download Watermelon Release Form (PDF). (25-40 lbs.) 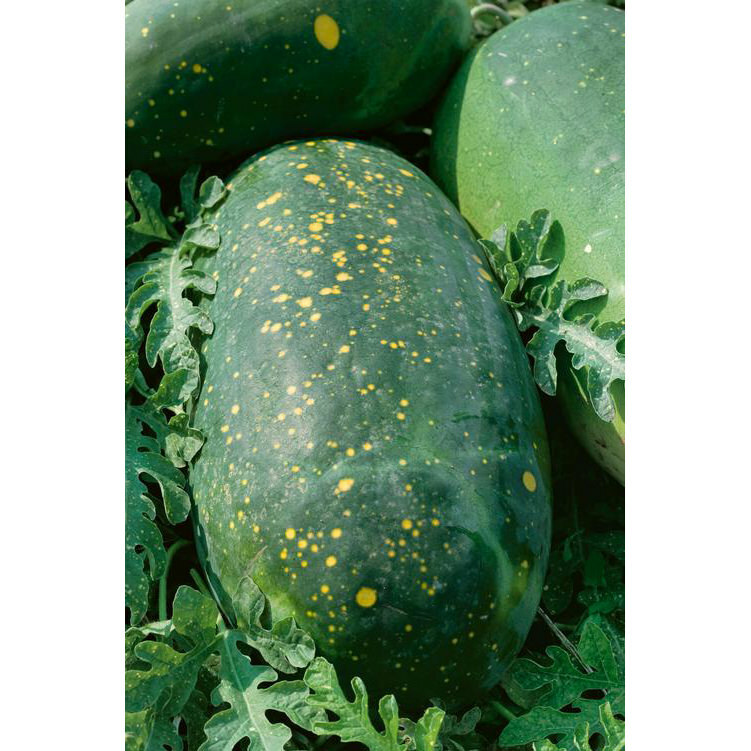 Moon & Stars, Red watermelon variety features large, oval fruits with dark-green skin speckled with bright-yellow splashes from star to moon size. Very unusual, the Moon & Stars leaves are also speckled. Perfect for fresh markets. 95-100 days. 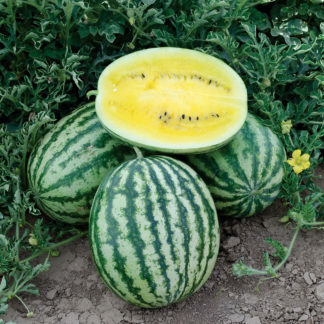 Standard varieties have seeds and are diploid. Sow seeds directly into packs, peat pots or directly in the field. 3-4 lbs. per acre. Well drained soil is best, plants need adequate water from seeding until they start blooming. 300 seeds/oz. ; 8 days, 70-72°F.